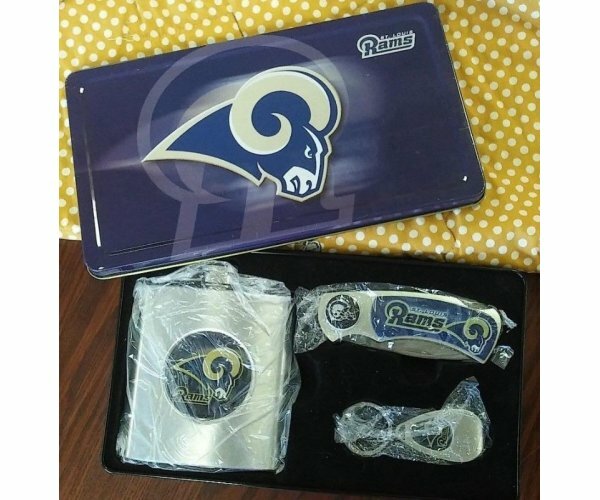 St. Louis Rams gift set. 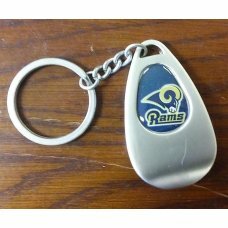 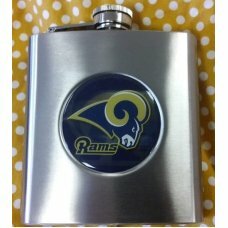 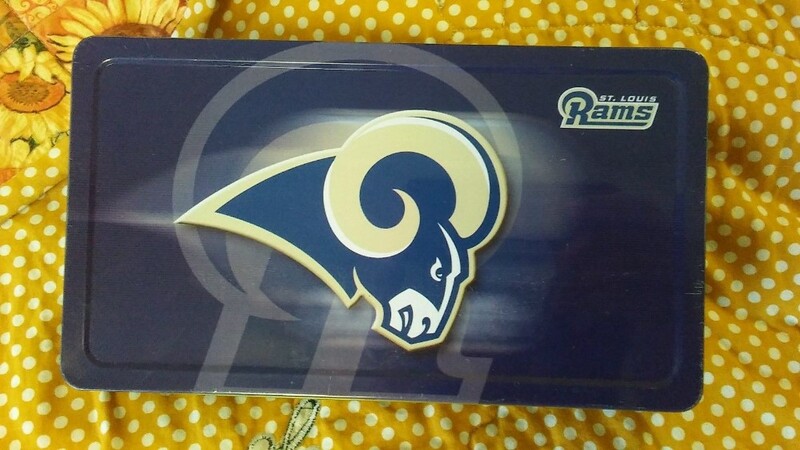 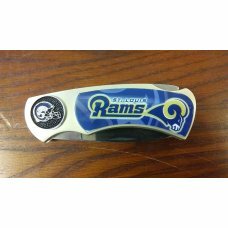 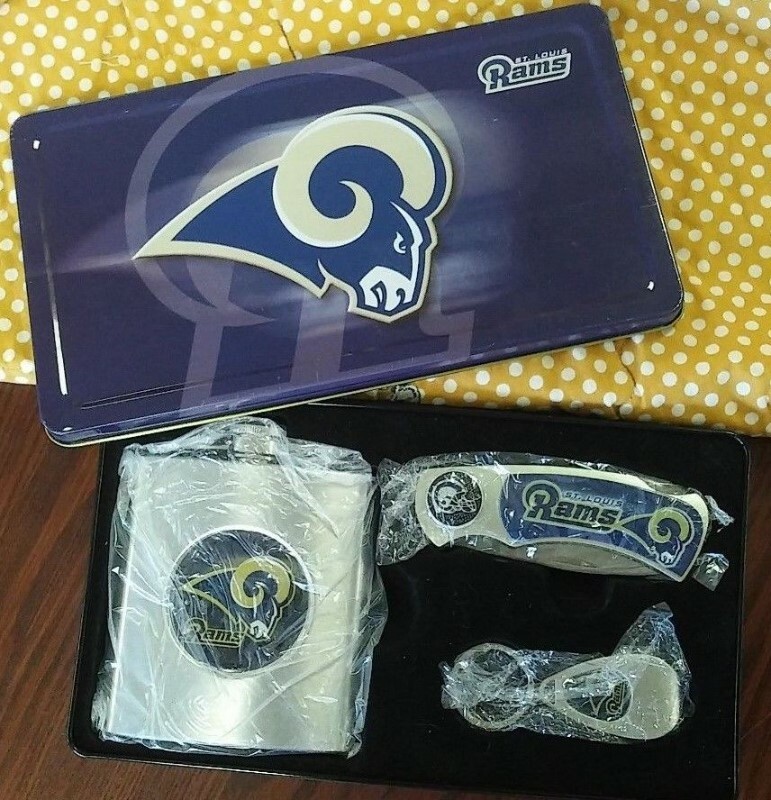 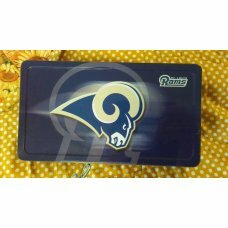 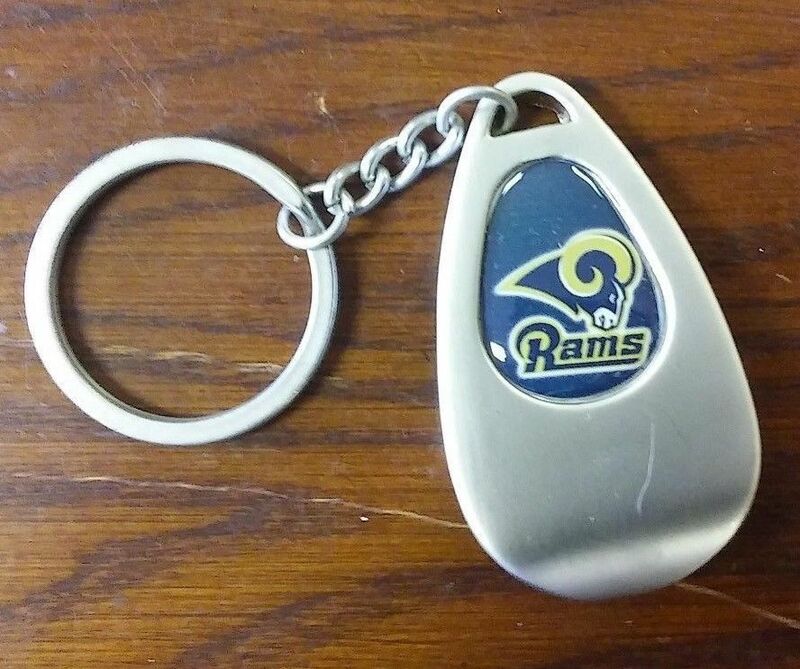 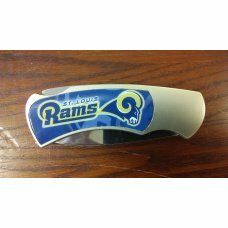 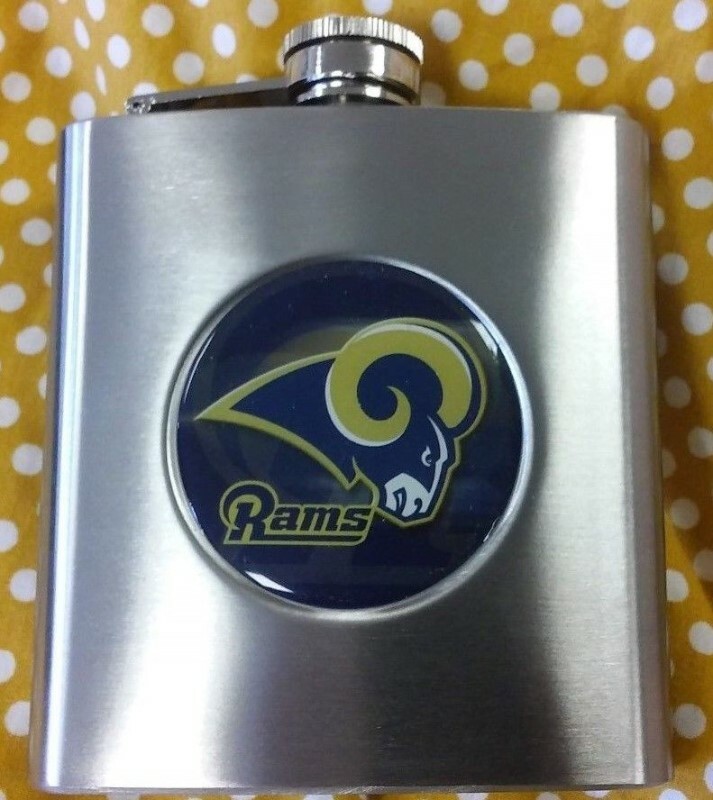 Includes a flask, a folding lock blade knife and a keychain/bottle opener, in a collectible St. Louis Rams tin. 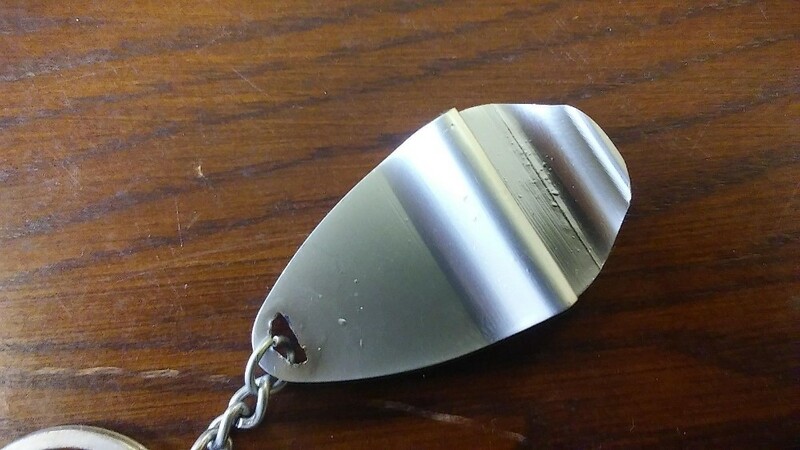 The flask has a capacity of 6 oz., and the knife has a 2.5" blade. 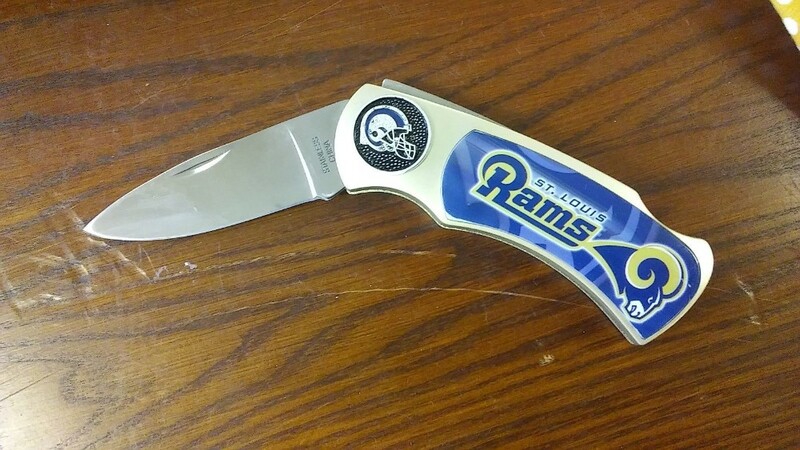 The knife is 7" long when opened. 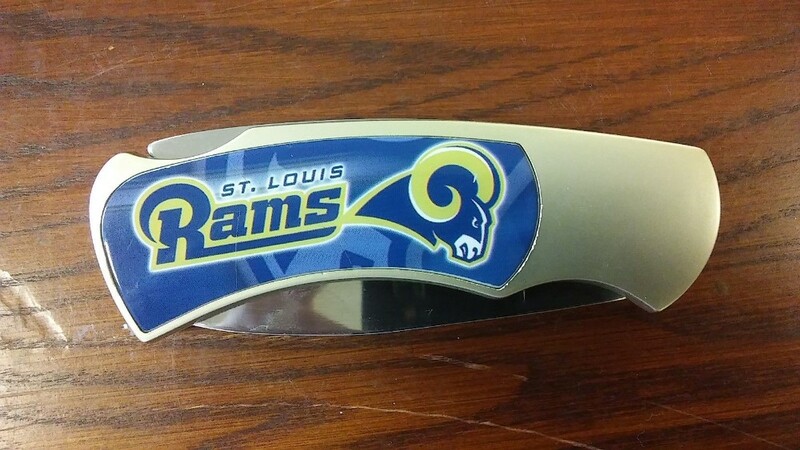 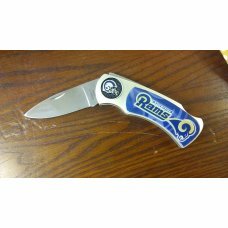 The knife and the tin have "St. Louis" written with the logo, while the bottle opener and flask just read "Rams". 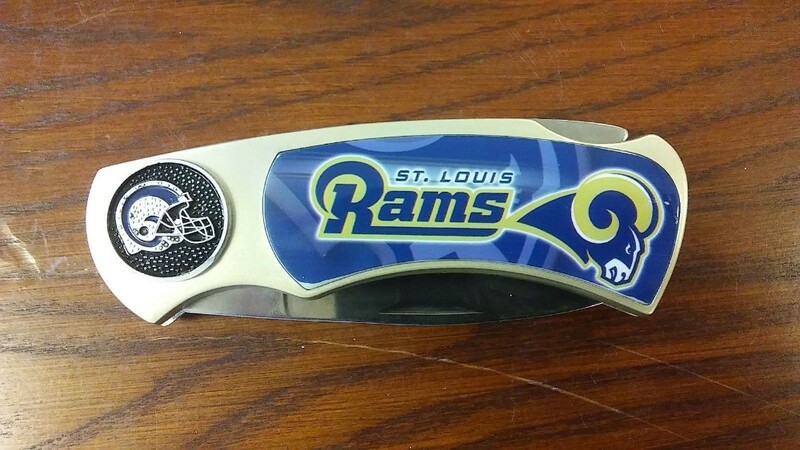 There are a couple of minor scratches here and there, but nothing major. 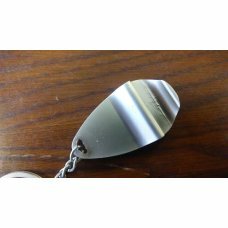 The opener has a bit of pitting (as seen in pictures). 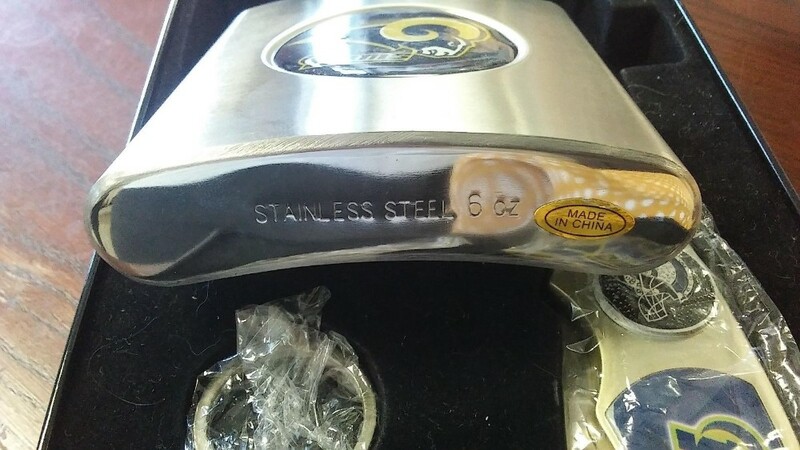 They have never been used. 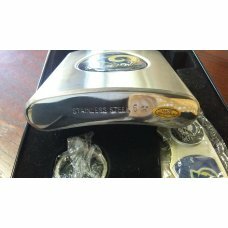 The tin measures 9 1/4" x 5 1/4" x 1 3/8".